It's awards season in Hollywood and tensions are running high. In an extraordinary move, the actors union SAG-AFTRA has lambasted the Academy of Motion Picture Arts and Sciences for 'intimidating' stars into agreeing only to present at the Oscars. The move comes, it seems, as the Screen Actors Guild is finding it difficult to hire talent for its own awards show set to be aired live on January 27. 'Essentially, they’re being told that if they present on another televised awards show, they won’t get to present on the Oscars,' a source close to the situation told Variety. 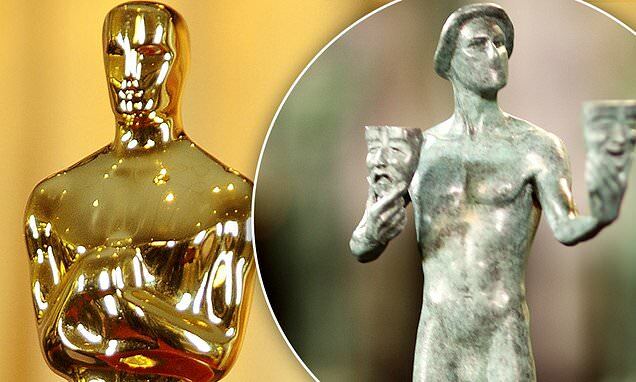 'We call on the Academy to cease this inappropriate action,' it concluded.